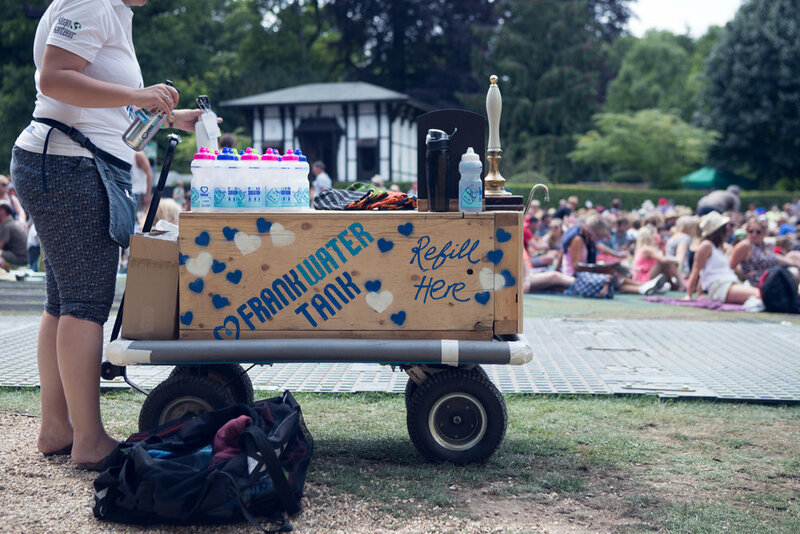 For a rewarding, unique and enjoyable experience, volunteer for FRANK Water at Music Festivals and Events throughout the year. Every Summer, our Festival Refill Service is manned almost entirely by enthusiastic, committed and passionate volunteers. Please join our Facebook Group to stay up to date with FRANK Water Volunteer news or sign up to our mailing list to be the first to find out when applications open for 2019. Our Community Ambassadors are instrumental to the success and development of FRANK Water. They play a vital role representing and promoting FRANK to wider audiences, giving presentations and talks at local schools, businesses, and community groups, and taking part in fantastic events to raise both awareness and funds. Find out who our Ambassadors are here. Download the ambassador pack here.